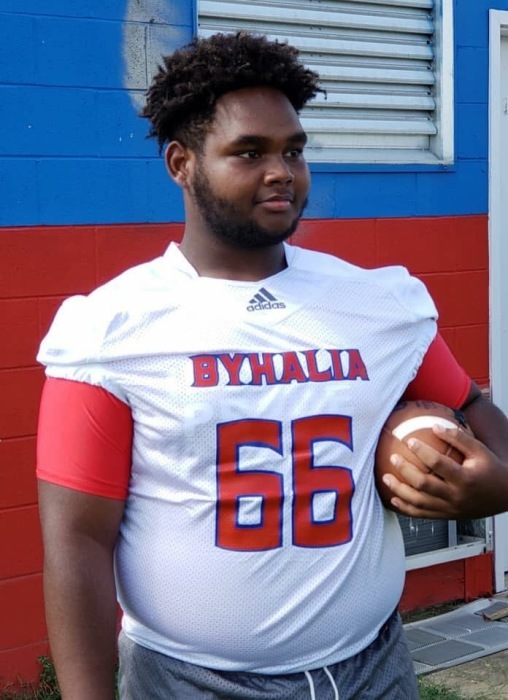 Obituary for Mr. Dennis Trae Mitchell, Jr.
Mr. Dennis Trae Mitchell, Jr.
BYHALIA- Mr. Dennis Trae Mitchell, Jr., 16, passed away on Friday, August 24, 2018 at Northwest Mississippi Regional Medical Center in Clarksdale, MS. He was born on December 29, 2001 in Memphis, TN to Dennis Mitchell, Sr., and Tracy Blanchard Richard. He attended Byhalia High School where he was a sophomore. He also played on the school football team were he prouldy wore his jersey #66. Services will be held on Saturday, September 1, 2018 at 10a.m. at Byhalia High School Gymnasium. Burial will take place at New Park Memorial Gardens in Memphis, TN. Serenity-Autry Funeral Home of Holly Springs is in charge of the arrangements. He leaves to cherish his loving memories his parents: Tracy Blanchard (John) Richards of Byhalia, MS. His father: Dennis Mitchell, Sr., of Memphis, TN. Two brothers: John Tyler Richard IV and Jordan Dallas Richard of Byhalia, MS. Two sisters: Kiara Patrice Mitchell of Memphis, TN and Marie Mitchell of Byhalia, MS. A host of other relatives and friends. Visitation will be on Friday, August 31, 2018 from 12 Noon until 6p.m. at Serenity-Autry Funeral Home Chapel.